We went to Hana Sushi this week mainly we wanted to try the unique experience of picking out dishes on the conveyor belt as well as trying the food that was being delivered by the Japanese mono rail. 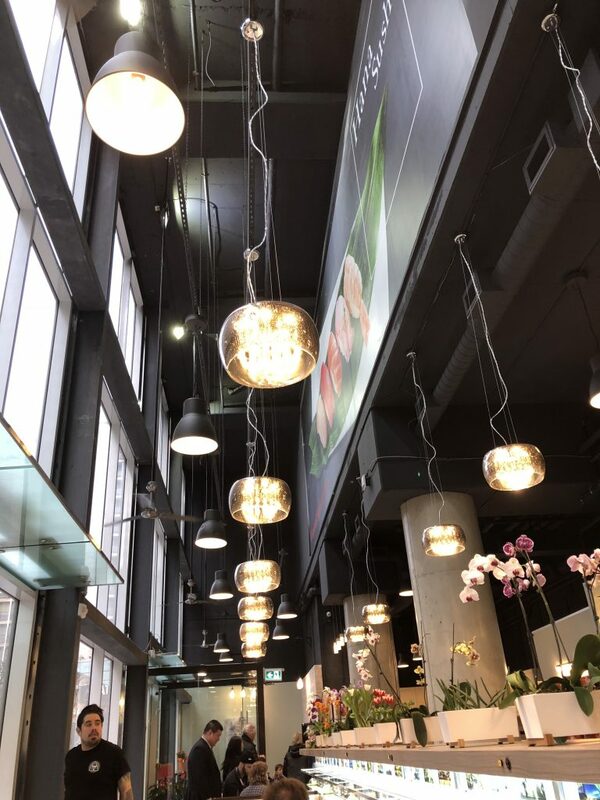 Hana Sushi is located at 21 Grenville Street, which is north of Yonge/College, which is conveniently walkable from the College Station. The place looked modern with tall ceiling and lots of windows. First, we were greeted by friendly servers and then they guided us to our booth. A booth sits 4 peeps comfortably. If you are going by yourself, no worries, they also have single seating, so it’s great. All booths are located beside the conveyor belt and the monorail. All food items can be ordered in an iPad, so you can choose what you like to order. The iPad has different categories from beverages to sushi, sashimi, dessert and more. Each item has a picture and price, so you know what to order. Once you placed an order via the iPad, it will be delivered via the mono rail. This is definitely a spot for taking lots of photos and videos with the monorail and conveyor belt. Once you pick up your plates of food, you have to press the yellow button so the monorail returns to the home base and serving food for other tables, so you better press the yellow button or other patrons will hate you for delaying the delivery of their food. You can also pick items on the conveyor belt and each coloured plate has different pricing. Price ranges from $1.99 to $7.99. 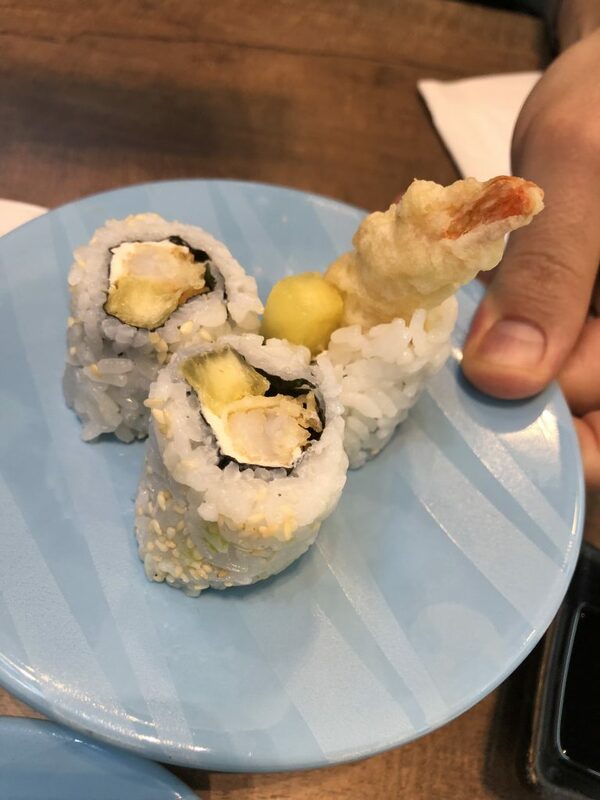 Personally, I found the quality of the sushi and food fresh but they are typical fish grade found in other ayce restaurant. Otherwise, the food is good. However, I do find the prices relatively pricey for many food items. For example, Moscow Roll (2pcs) is $7.99, seriously, I don’t even know what is Moscow Roll. Lots of sushi are $3.99 or $4.99 for 2 pcs, that’s a bit much. However, there are some $1.99 such as Edamame and squid sashimi, otherwise, there aren’t many $1.99 plates. I ordered salmon sashimi at $2.99 which is ok.
Servers are friendly and nice, but sometimes they do need more interaction training as they seem a bit awkward at times when it comes to conversation but I am sure they will get better as this resto only opens for a week. I do wish they have explanation on food items in the iPad. For example, what’s in the Moscow Roll? What is it? They only show you the photo and the price, but patrons wouldn’t know what it is. 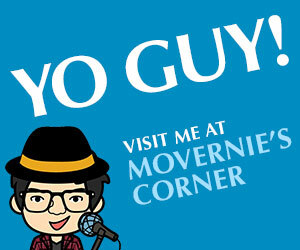 And of course, the resto owner can suggest you to ask but you can’t ask for every item right? And I would also suggest them to put a food label on each plate of food on the conveyor belt. For short peeps, you can’t really see what’s inside the food plate, so you may have to stand up or stretch your giraffe neck to take a peek. But still sometimes you won’t know what’s inside. I would prefer if they provide cooked food items such as udon as it’s mainly just sushi and sashimi based, which are limited in terms of food selections. If you plan to spend more than $20/person, you may as well go to ayce places as plates can add up the price at Hana Sushi. However, I do highly recommend anyone to visit this place, coz it’s definitely an unique experience. It’s worth a visit to check out the unique dining experience picking up plates with the conveyor belt and monorail. I suggest people go there for snack or a 1st stop of a dinner night and then go somewhere to eat an entree. Or else, your bill will be pricey. 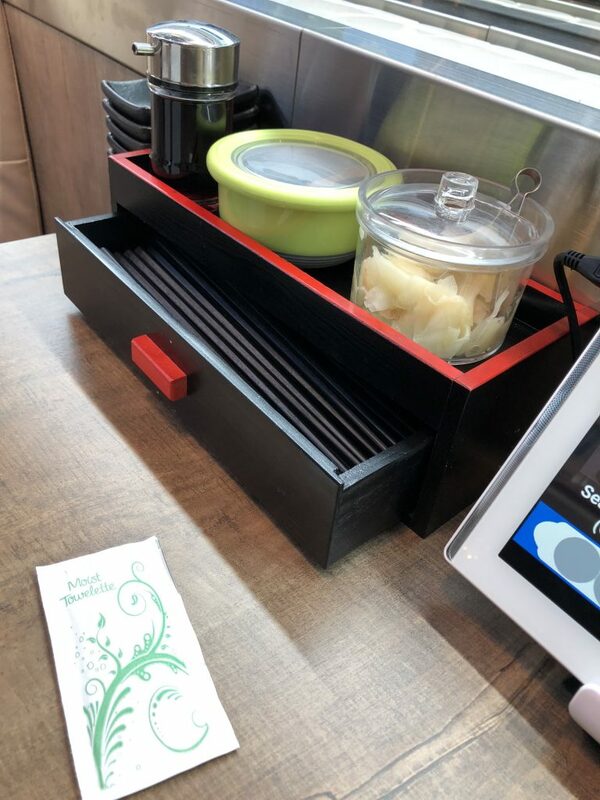 MoVernie Suggestion: Hana Sushi has an iPad to show what we ordered from the iPad. But they also have to get a staff to check how many plates you ordered from the conveyor belt. 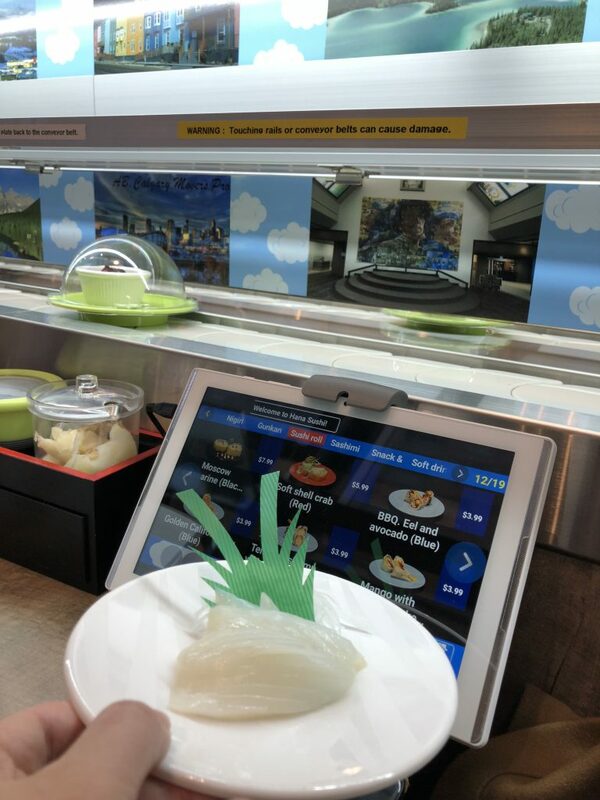 We didn’t take any food from the conveyor belt coz we preferred to order fresh food from the iPad. This is where the odd part came, the staff asked us how many plates we ordered when we tried to pay our bills. But he/she had to manually observed and count the plates, which sometimes makes it slow to pay the bills and also it makes you wonder if the staff count correctly with the final total. So, that was a bit of a draw back. Perhaps Hana Sushi can consider of serving special ordered food items with a specific yellow plate. And any other coloured plates on the conveyor belt. 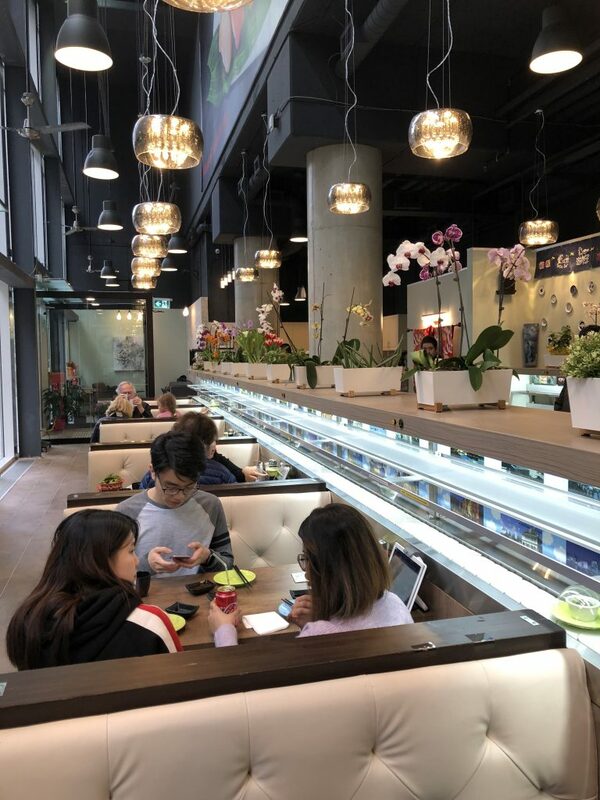 That way, when the staff came over to the table, they will know how many plates were yellow plates (which were recorded in the iPad) and they just need to count how many other coloured plates the patrons ordered from the conveyor belt. This will make the staff life easier knowing a designate coloured plate is from the monorail. This is just my suggestion. Coz currently, they mixed all the coloured plates, regardless of whether you picked up from the conveyor belt or monorail, the staff has to count, which could be cumbersome and inaccurate.